A linear problem of optimal guaranteed control of a delay system is considered in which geometric constraints on control actions and terminal constraints on states are present. A new concept of a state of the problem that represents a finite-dimensional vector is introduced. Three kinds of optimal feedback are defined. We describe methods for implementing open-loop and closable optimal feedbacks. They are based on a fast dual method for the correction of optimal programs. The results are illustrated by examples. 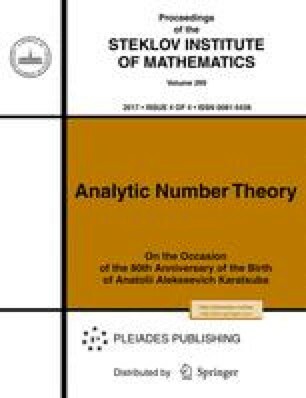 Original Russian Text © R. Gabasov, N. M. Dmitruk, F. M. Kirillova, 2006, published in Trudy Instituta Matematiki i Mekhaniki UrO RAN, 2006, Vol. 12, No. 2.